The Romanian government is to withdraw a contentious corruption decree. Social Democrat Prime Minister Sorin Grindeanu announced the legal order to decriminalise some graft offences is to be repealed in a cabinet meeting on Sunday (February 5). “I do not want to divide Romania. Romania cannot be divided in two,” he said. Parliament is now to debate a new corruption law, the prime minister added. Tens of thousands of people welcomed the announcement, which came after five days of mass protests a stone’s throw from the prime minister’s office in Bucharest. The demonstrations were on a scale not seen since the fall of Communism at the end of 1989. Due to come into effect in a matter of days, the decree would have freed from jail dozens of officials who have been convicted of corruption and seen hundreds of others avoid prosecution. Grindeanu’s administration had insisted the measure was an effort to ease the country’s overcrowded prisons. However, Romania’s ombudsman challenged the new law in the constitutional court. It was also criticised by the influential Orthodox Church. 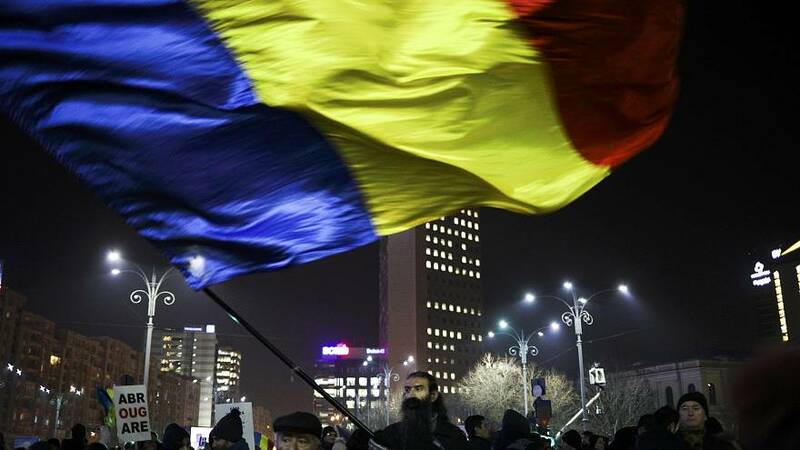 How does Romania's revolution compare with this week's protests?